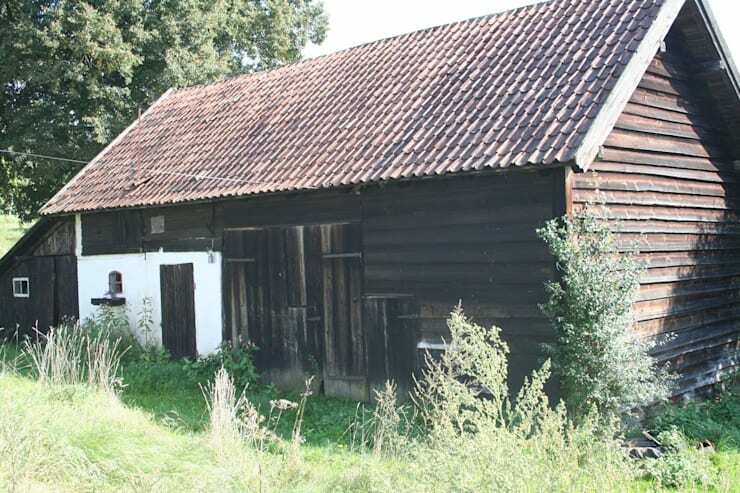 This old barn is the inspirational before image for a fabulous renovation that will leave you inspired. 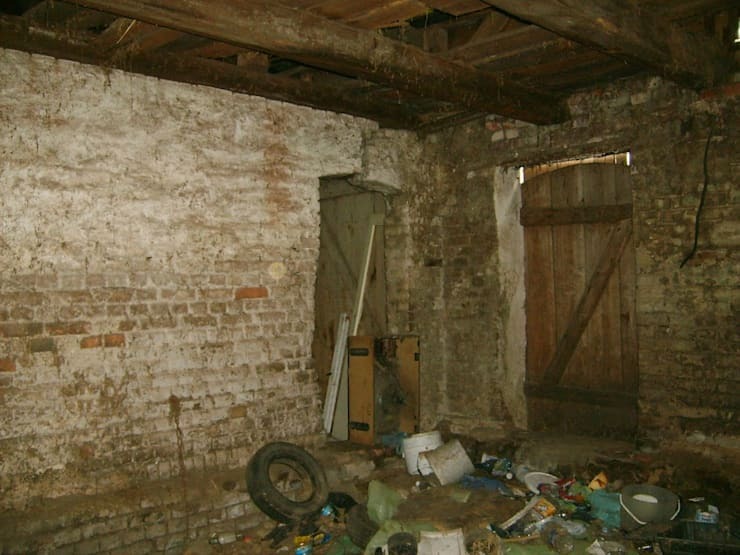 A property investor saw great potential in this rustic space and the end result is unbelievable! The expert team of architects incorporated technology into the design of this wood and brick building, improving insulation and making this country home inhabitable throughout the year. 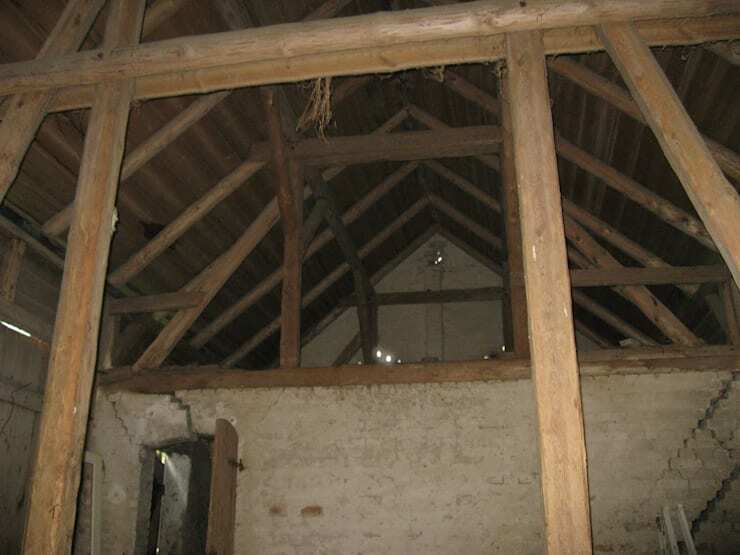 The old brick detail seen in this image, was discovered during the demolition process, and due to its traditional elegance and vintage appeal, it was retained, making this barn house truly authentic. 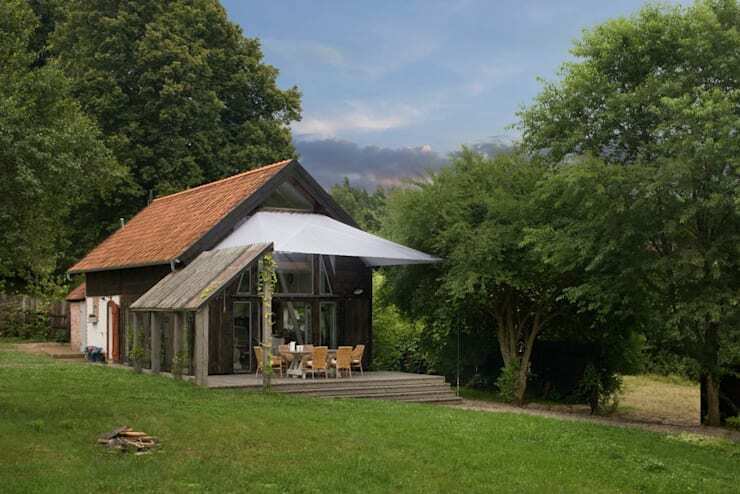 This small barn was inhabitable, but the architects opted to relocate it to the lakeside, taking full advantage of this rural location. A fantastic terrace was added to the newly rebuilt home, with steps leading to the lake. 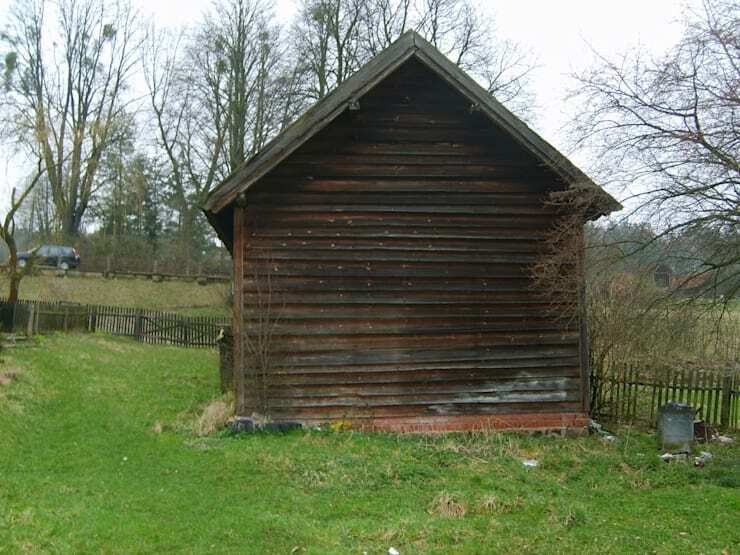 This area is usable regardless of the weather due to its elegant roof. It’s a dreamy space from all angles. The terrace has a magnificent view of the lake that can be enjoyed while surrounded by stunning nature, and decorated by a simple wooden table and wicker chairs. This outdoor eating space is perfect for any meal or social occasion. 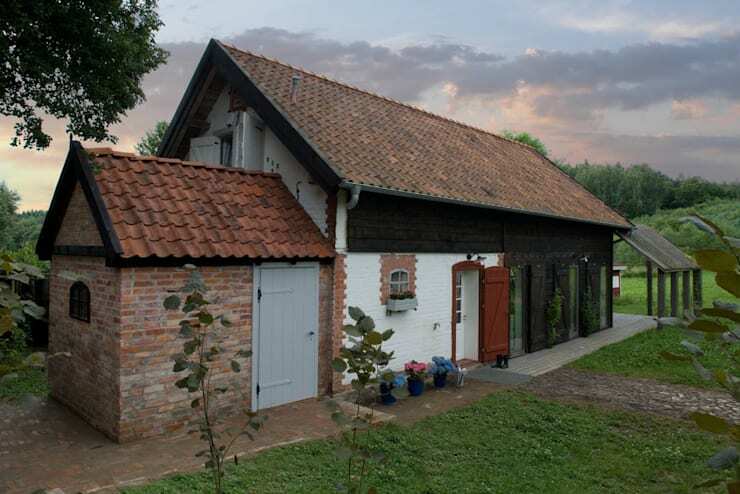 Throughout the renovation of this old home, the architecture and construction team ensured that the original character of the building should be maintained, which is why this renovated home fits the country side like a glove. A charming entrance for a beautiful home, now that is perfection. 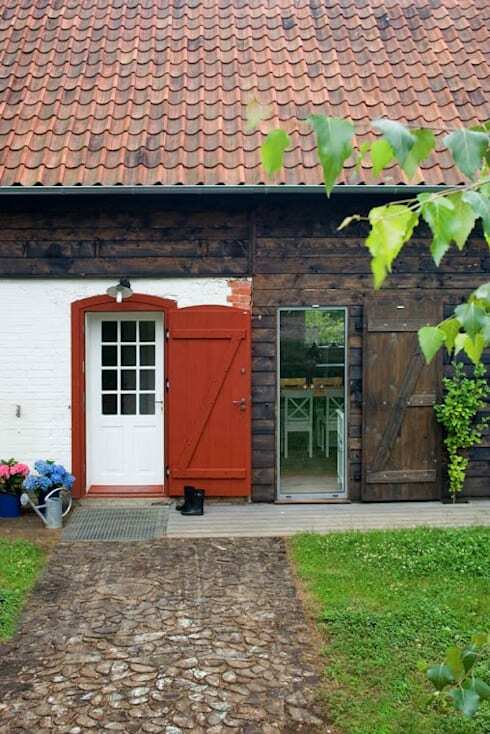 Although this space has been almost completely renovated, it has maintained much of its rural identity, with the old-fashioned red door proudly incorporated into the design. This is the first glimpse at the sensational interior style after the much needed renovation. 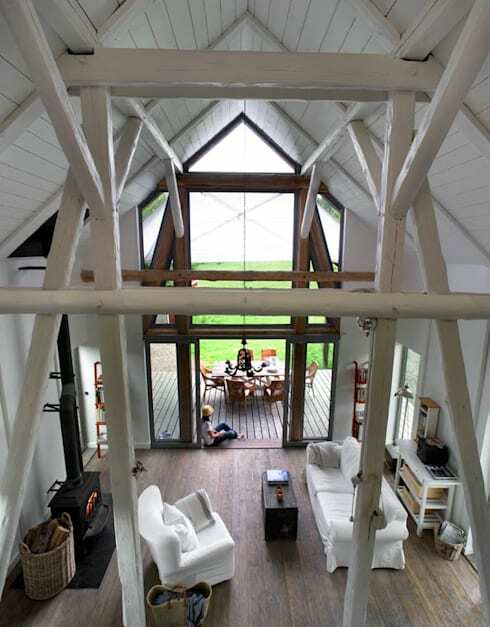 The gabled wooden ceiling was given a brilliant coat of white, creating a spacious and elegant design that is attractive and filled with natural light. It’s no doubt a comfortable, welcoming and family friendly zone that is cosy and warm too. Before this home underwent its magical renovation, the barn was used as a storage space for everything from rubbish to unwanted wood. It looked disgusting and junk-yard like. By using some imagination, the stylish home and this junk yard were the same place. 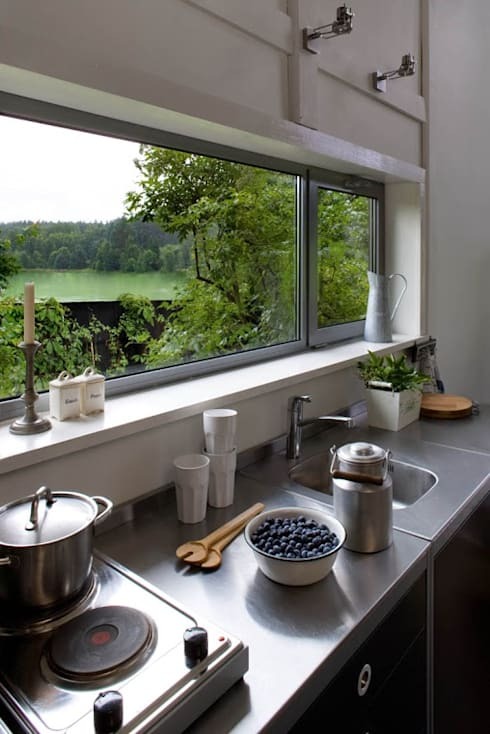 This modern kitchen is now usable and elegant in every way, with a view of the lovely lake creating a picturesque country setting. 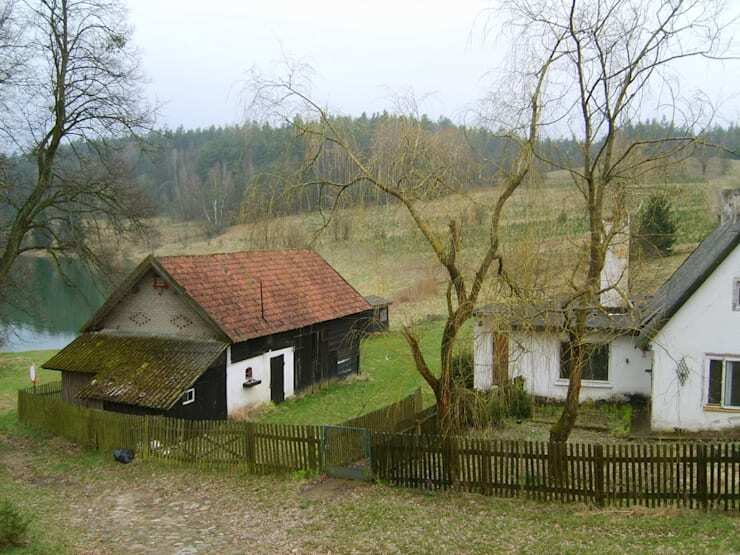 It’s bright, airy and unbelievably elegant, we can’t help but stare at the view of the countryside! This dining room is nothing less than delightful. The simple wooden table and white chairs in perfect country style add a unique atmosphere of elegance and integrity, while the rustic décor and character of the eating area reminds us that we are in a unique, yet charming idyllic location. 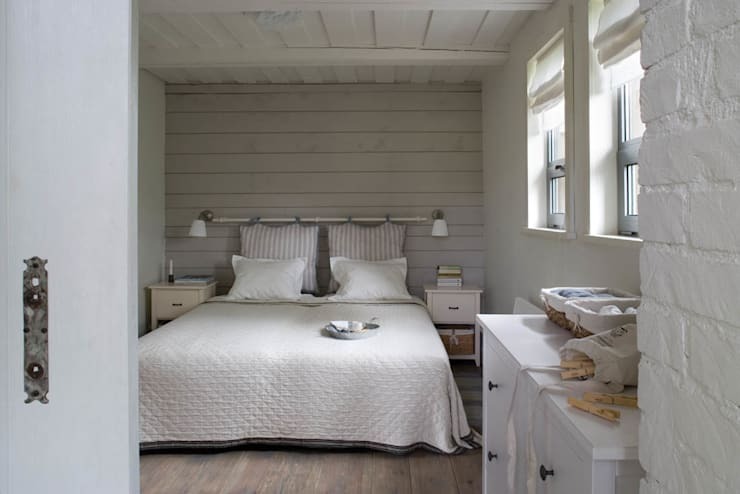 A shabby chic bedroom decked in white is a stunning end to this Ideabook. The all-white wooden planks create a stylish feature headboard, while the accompanying bedroom furniture is stylish and perfect for this room. It’s cosy, attractive and absolutely comfortable from top to bottom. If bedroom decor inspiration is what you need, then here are some: Grand ideas for small bedrooms. 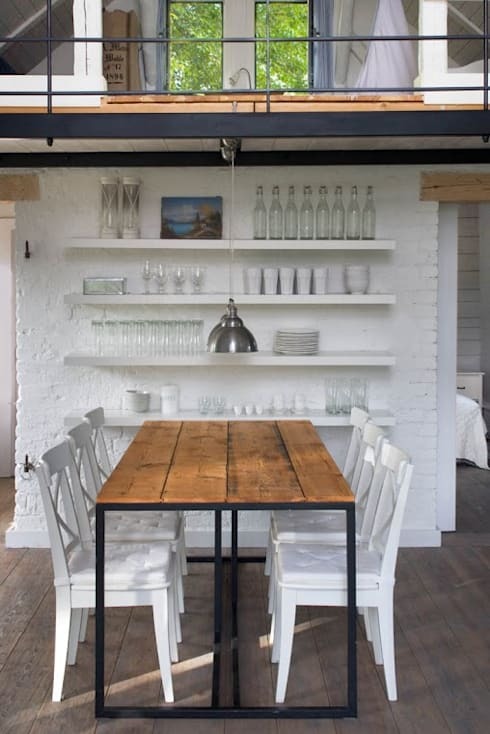 Are you inspired to makeover some old part of your home in this rustic style?